New to 2018, BBC Introducing held a 3 day event in London on the 8th-10th November targeting anyone looking for a career in the music industry. I visited the last day of the event to see what it was all about. 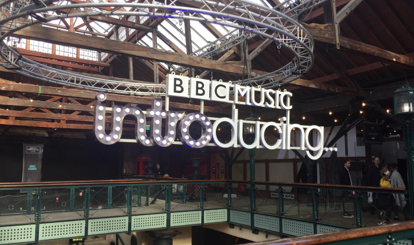 Held at Tobacco Dock, BBC Introducing LIVE showcased everything the music industry has to offer, from artists to publishing, marketing to broadcast and live events to finance. A day pass gave access to masterclasses, seminars and panels as well as stalls, demonstrations and exhibitors. Multiple pop-up stages were positioned around the venue which meant you were never far from live music. With multiple stages holding talks and workshops throughout the day, there was always something to get involved with. These covered everything from the practical skills needed in the music industry, such as studio masterclasses from Abbey Road engineers, to discussing social issues within the industry, such as accessibility and mental health. Two talks that particularly stood out to me were, ‘Festival Sound: The Hardest Mix in the World’ and ‘Spotify Presents: Killing It’. ‘Festival Sound: The Hardest Mix in the World’ covered how audio teams are able to efficiently mix a sound that can be broadcast live over radio or television with the strict time constraints involved in running festivals. Simone Lombardi used his 14 years of experience working with the BBC to offer an insight into how sound systems are run at festivals and the preparation needed to deal with the large number of artists on these stages. 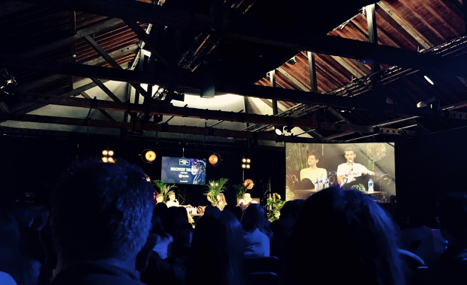 ‘Spotify Presents: Killing It’ was a live version of the popular podcast discussing mental health and how the pressures of business can impact on it. Musicians Bill Ryder Jones and Dodie Clark discussed how their own struggles with mental health has influenced both their music but also their experience within the industry. It became clear that music has offered them both a healthy coping mechanism, but at the same time has impacted on their mental health either through difficulties with establishing healthy boundaries when talking about their problems with their audience or the reality of being on tour and the pressures this can place on someone. Throughout the 3 days, opportunities were available to artists to perform on one of the many stages as well as being able to meet with producers, DJs and A&Rs for one-to-one advice and feedback on pursuing the next stages of their career. Listening sessions with music supervisors of Made in Chelsea and PlayStation allowed artists to submit their music in advance and be in with a chance of gaining further opportunities with these companies. Presence of big brands such as Spotify, Marshall and Shure allowed for extra stages, guests and interactive exhibitions. 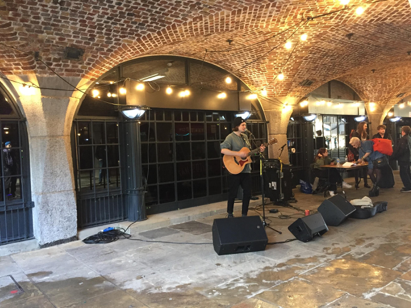 But the event also showcased other contributors within the industry such as in their Independent Label Market and partnerships with charities and educational facilities. These stalls made up a large part of the event and all were welcoming to discuss what they do and any opportunities that could be available to you. Overall, the event gave a platform to those looking to be involved with music, in a supportive and welcoming environment that isn’t always present within the music industry. I do feel like a day was not enough to be able to fully experience both the talks and the exhibitors, so would consider doing multiple days at future events. They achieved a balance between the larger areas of the industry and areas which people often forget about, thus promoting an awareness of all opportunities available to people. A healthy platform to discuss the issues arising within the industry was established, making for important and interesting conversations throughout the event.